The former Kensington Property Exchange, its associated residence Islington, and the adjoining shop and residence, were designed by architect E Owen Hughes for real estate agent and local identity, James Wales. They were constructed by Rowse & Son in 1891-92. The heavily ornamented facade has pedimented Corinthian pavilions on each elevation, one of which forms an arcaded loggia at first floor level. The corner entrance is accentuated by the first floor oriel window and the octagonal tower above. The large associated residence, and the adjoining shop and residence are cleverly integrated into the overall composition which has been deftly designed to make best use of the steeply sloping corner site. 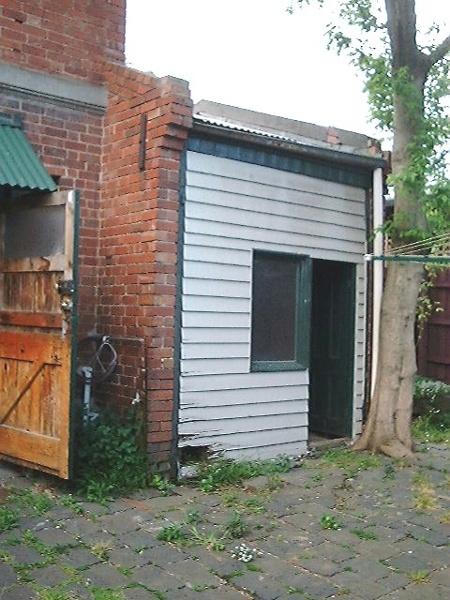 James Wales had originally established his real estate business in 1885 in a humble shop situated two doors down from the new building. He was a councillor of Kensington & Flemington, and in 1899 was elected Mayor of Flemington. The building complex is of architectural, historical and social significance to the State of Victoria. The former Kensington Property Exchange office and its associated residence Islington is architecturally, historically and socially important as an extraordinarily intact example of a late 19th century shop/office and residence with brick stable and coach house at the rear. The real estate chamber, with intact joinery, fixtures and ornamentation has particular social and historical importance for representing the principal characteristics and functions of a late 19th century office linked to a large private residence. The flamboyant design of the building exterior is architecturally and historically important for demonstrating the prominence of real estate agencies during the height of Melbourne's 1880s land boom, and the towered building which stands prominently on the corner of Bellair and Wight Streets reflected James Wales' success as well as the rise in Kensington land sales. 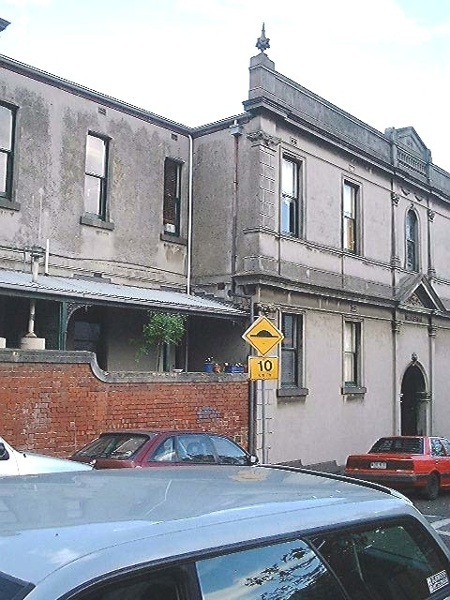 The building is architecturally important as the finest example known of the work of architect Edward Owen Hughes, a local practitioner who designed many houses and shops in the vicinity during the height of Melbourne's boom. 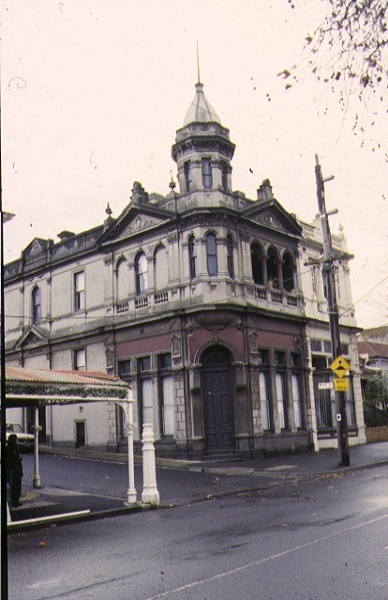 Former Kensington Property Exchange office, shop and residences, 166-168 Bellair Street, Kensington, Moonee Valley City. 1. All of the buildings marked B1 and B2 on Diagram 605524, held by the Executive Director of the Heritage Council. 2. All of the land marked L1 on Diagram 605524 held by the Executive Director of the Heritage Council, being all the land described in Certificates of Title Volume 8440, Folio 325 and Volume 8856, Folio 995. 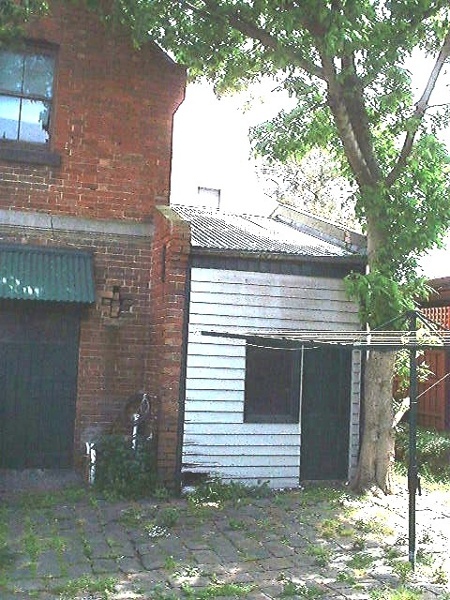 In September 1875 the Flemington/Kensington ward of the Borough of Essendon and Flemington had only fifty houses altogether, with only six situated between Racecourse Road and North Melbourne. The boom years of the 1880s brought unprecedented growth to the area, and Kensington’s main thoroughfare, Macaulay Road and its points of intersection with BellairStreet and Rankins Road spawned a thriving commercial centre. Similarly to Racecourse Road, a pocket of enterprises arose from the saleyards nearby, but increasingly into the 1880s local businesses began to diversify into a variety of ventures. By 1890 both sides of the streets in the Kensington hub were lined by shops, with butchers, grocers, bootmakers, bakers, newsagents and fruiterers competing for business. Another newcomer was the Kensington Skating Rink, built in 1889 and situated on the north west corner of the Smith Street intersection. In Bellair Street, James Wales reaped the benefits of the boom by establishing the Kensington Property Exchange in 1885, the first estate agency in the commercial centre. In 1890 he was joined, a few doors away, by competitors, Messrs Holmes & Glide, who established their real estate exchange, insurance and finance business just over the road from Kensington station. By 1892 another rival firm, S.C. Arnold & Co., had opened in the same street in a shop prominently situated on the corner of Macaulay Road. 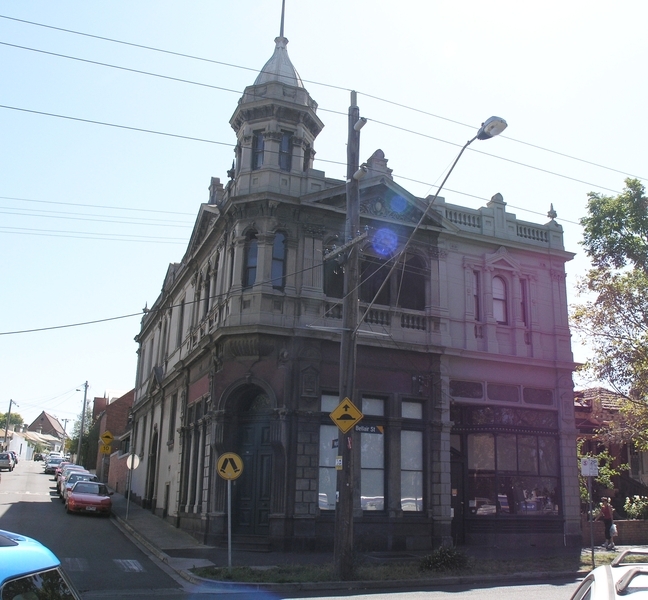 The former Kensington Property Exchange was designed by E Owen Hughes and built by Rowse & Son, of North Melbourne. The foundation stone was laid on 28 October 1891 by Mrs James Wales, whose husband was the owner of the property. Wales had initially established his real estate business in 1885 in a humble shop situated two doors down from the new building. 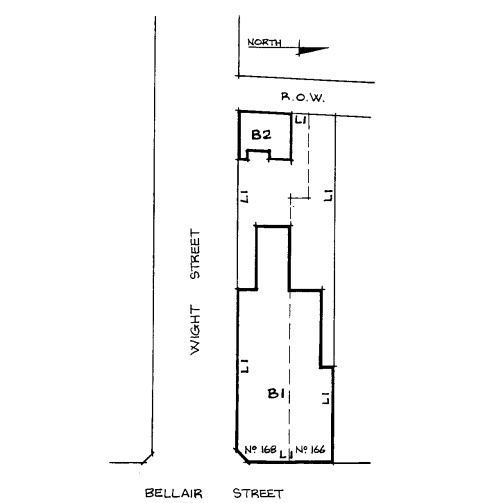 The towered, two-storey office and residence which stood prominently on the corner of Bellair and Wight Streets reflected his success as well as the rise in Kensington land sales. James Wales was a councillor of Kensington & Flemington, and in 1899 he was elected Mayor of Flemington. 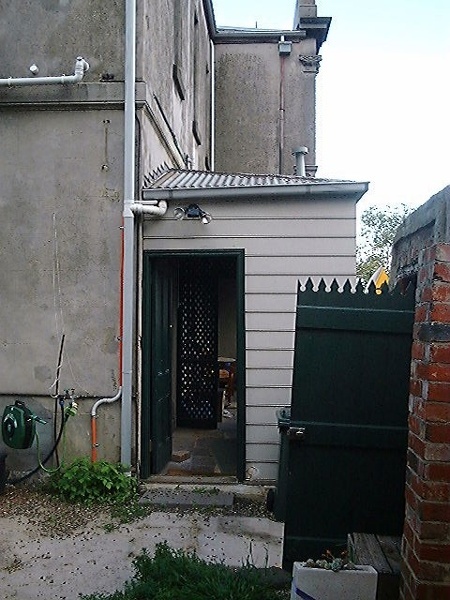 On the completion of the new premises, Wales set up his business in the ground floor chamber and moved his residence to the upper levels. The less opulent, other half of the building, also comprising a shop and residence, was let to the designing architect, Edward Owen Hughes. Next door was the business of another local architect, Harry Lording, and a little further down Bellair Street resided John Wales, painter, paper hanger and house decorator. Wales continued to work and reside at the Property Exchange building until the early 1920s, when the office became tenanted by another real estate agent, W. Johnson. Wales remained in the upstairs residence until the late 1920s. During the 1930s and 1940s E. J. Nelson lived in the residence, while the printer A. Potts occupied the shop/office. Nelson remained in the residence into the 1950s, while Mrs M. Nelson manufactured knitted goods in the shop. In 1896 the Sydenham Ladies School moved to the shop and residence comprising the other half of the grand Property Exchange building. Run by the principal, Miss Marie de Koch and artist Netta. de Koch, the school formerly operated from 25 Henry Street, Kensington. Pupils were coached for matriculation and university examinations in subjects that included Music, French, Latin, Singing, Drawing, Gymnastics and Elocution. Dancing classes for younger girls were held on Wednesday afternoons. The de Koch’s school was still operating by 1914, but by 1919 a tailor, Percy Liddle had moved into the shop and residence. By the late 1920s Emma Taylor occupied the residence, while L. Bernstein ran the shop as an iron mongery and post office. In the 1930s and 1940s Miss M. Conroy lived in the residence and operated a dressmaking business in the shop. Another dressmaker, Mrs R. N. Hall, lived at the address and ran her business in the shop during the 1950s. 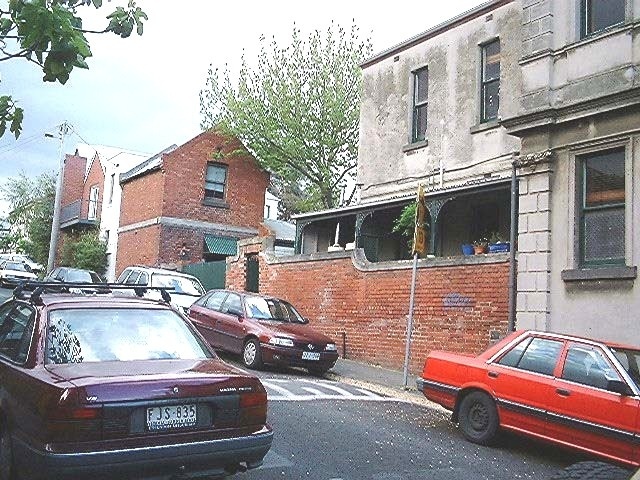 Today, both 166 and 168 Bellair Street are occupied as private houses. During 1890 Hughes was the winner of a design competition for new municipal offices for the Williamstown council. Unfortunately the council was not happy with the selected design and considered seeking the help of the President of the Institute of Architects. In July 1890 the council resolved to recommend that Hughes withdraw his design as certain discrepancies were discovered in the documents. In the end the proposal to construct new premises was abandoned and it was not until 1914 that it was resurrected. remove evidence of the building's original paint or other decorative scheme. m2 in floor area and no higher than 2400mm high. Installation of garden watering systems. 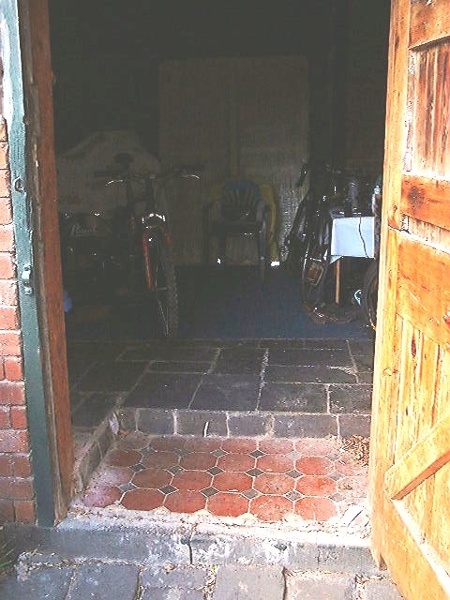 stone paving in the rear yard of No. 168 must be conserved. making good. General Conditions: 1. All exempted alterations are to be planned and carried out in a manner which prevents damage to the fabric of the registered place or object. General Conditions: 2. 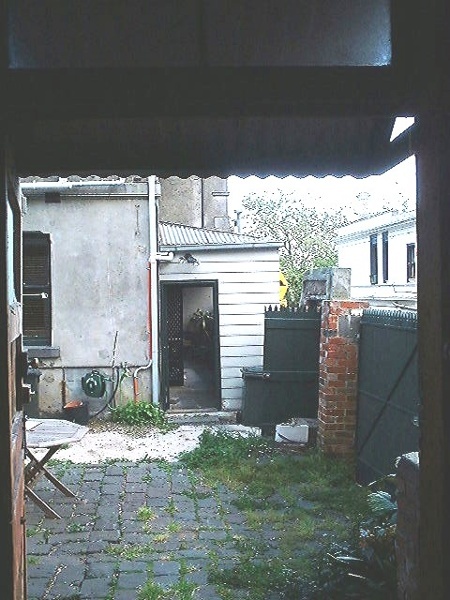 Should it become apparent during further inspection or the carrying out of works that original or previously hidden or inaccessible details of the place or object are revealed which relate to the significance of the place or object, then the exemption covering such works shall cease and Heritage Victoria shall be notified as soon as possible. Note: All archaeological places have the potential to contain significant sub-surface artefacts and other remains. 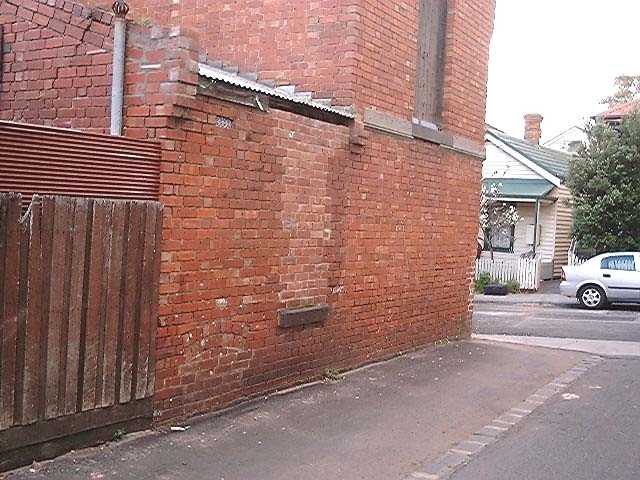 In most cases it will be necessary to obtain approval from the Executive Director, Heritage Victoria before the undertaking any works that have a significant sub-surface component. General Conditions: 3. All works should be informed by Conservation Management Plans prepared for the place. General Conditions: 4. Nothing in this determination prevents the Executive Director from amending or rescinding all or any of the permit exemptions. General Conditions: 5. 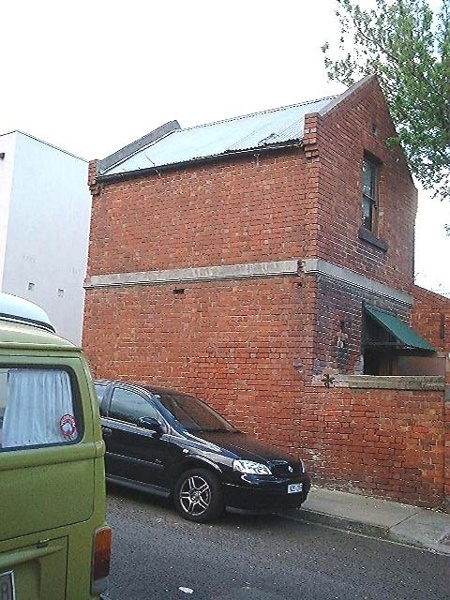 Nothing in this determination exempts owners or their agents from the responsibility to seek relevant planning or building permits from the responsible authorities where applicable. Regular Site Maintenance : The following site maintenance works are permit exempt under section 66 of the Heritage Act 1995: a) regular site maintenance provided the works do not involve the removal or destruction of any significant above-ground features or sub-surface archaeological artefacts or deposits; b) the maintenance of an item to retain its conditions or operation without the removal of or damage to the existing fabric or the introduction of new materials; c) cleaning including the removal of surface deposits, organic growths, or graffiti by the use of low pressure water and natural detergents and mild brushing and scrubbing; d) repairs, conservation and maintenance to plaques, memorials, roads and paths, fences and gates and drainage and irrigation. e) the replacement of existing services such as cabling, plumbing, wiring and fire services that uses existing routes, conduits or voids, and does not involve damage to or the removal of significant fabric. Note: Surface patina which has developed on the fabric may be an important part of the item's significance and if so needs to be preserved during maintenance and cleaning. Note: Any new materials used for repair must not exacerbate the decay of existing fabric due to chemical incompatibility, obscure existing fabric or limit access to existing fabric for future maintenance. Repair must maximise protection and retention of fabric and include the conservation of existing details or elements. Fire Suppression Duties : The following fire suppression duties are permit exempt under section 66 of the Heritage Act 1995, a) Fire suppression and fire fighting duties provided the works do not involve the removal or destruction of any significant above-ground features or sub-surface archaeological artefacts or deposits; b) Fire suppression activities such as fuel reduction burns, and fire control line construction, provided all significant historical and archaeological features are appropriately recognised and protected; Note: Fire management authorities should be aware of the location, extent and significance of historical and archaeological places when developing fire suppression and fire fighting strategies. The importance of places listed in the Heritage Register must be considered when strategies for fire suppression and management are being developed. Weed and Vermin Control : The following weed and vermin control activities are permit exempt under section 66 of the Heritage Act 1995, a) Weed and vermin control activities provided the works do not involve the removal or destruction of any significant above-ground features or sub-surface archaeological artefacts or deposits; Note: Particular care must be taken with weed and vermin control works where such activities may have a detrimental affect on the significant fabric of a place. Such works may include the removal of ivy, moss or lichen from an historic structure or feature, or the removal of burrows from a site that has archaeological values. Landscape Maintenance : * The process of gardening, including mowing, hedge clipping, bedding displays, removal of dead shrubs and replanting the same species or cultivar, disease and weed control, and maintenance to care for existing plants. * Repairs, conservation, and maintenance to hard landscape elements, buildings and structures, fountains and monuments, steps, paths, paths and gutters, drainage and irrigation systems, edging, fences and gates. * Removal of dead or dangerous trees and vegetation, works to maintain fire safety and to conserve significant buildings and structures and emergency works, provided a report is submitted to the Executive Director within 21 days. * Replanting the same plant species which conserves the significant landscape character and values including specimen trees, avenues, rows, shrubberies, flower beds, and lawns, provided a list and plan is submitted to the Executive Director for approval. * Management of trees in accordance with Australian Standard; Pruning of Amenity Trees AS 4373-1996. * Management of trees in accordance with Australian Standard; Protection of Trees on Development Sites AS 4970-2009 * Subsurface works involving the installation, removal or replacement of watering and drainage systems or services, outside the canopy edge of significant trees in accordance with .AS4970 and on the condition that works do not impact on archaeological features or deposits. * Removal of plants listed as noxious weeds in the Catchment and Land Protection Act 1994 * Vegetation protection and management of the possum and rabbit population. * Repainting the same colour of previously painted surfaces Public Safety and Security : The following public safety and security activities are permit exempt under section 66 of the Heritage Act 1995, a) public safety and security activities provided the works do not involve the removal or destruction of any significant above-ground structures or sub-surface archaeological artefacts or deposits; b) the erection of temporary security fencing, scaffolding, hoardings or surveillance systems to prevent unauthorised access or secure public safety which will not adversely affect significant fabric of the place including archaeological features; c) development including emergency stabilisation necessary to secure safety where a site feature has been irreparably damaged or destabilised and represents a safety risk to its users or the public. 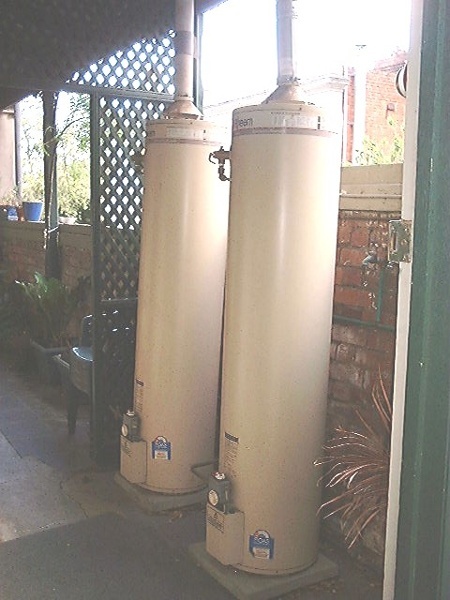 Note: Urgent or emergency site works are to be undertaken by an appropriately qualified specialist such as a structural engineer, or other heritage professional. Signage and Site Interpretation : The following Signage and Site Interpretation activities are permit exempt under section 66 of the Heritage Act 1995, a) signage and site interpretation activities provided the works do not involve the removal or destruction of any significant above-ground structures or sub-surface archaeological artefacts or deposits; b) the erection of non-illuminated signage for the purpose of ensuring public safety or to assist in the interpretation of the heritage significance of the place or object and which will not adversely affect significant fabric including landscape or archaeological features of the place or obstruct significant views of and from heritage values or items; c) signage and site interpretation products must be located and be of a suitable size so as not to obscure or damage significant fabric of the place; d) signage and site interpretation products must be able to be later removed without causing damage to the significant fabric of the place; Note: The development of signage and site interpretation products must be consistent in the use of format, text, logos, themes and other display materials. Note: Where possible, the signage and interpretation material should be consistent with other schemes developed on similar or associated sites. It may be necessary to consult with land managers and other stakeholders concerning existing schemes and strategies for signage and site interpretation. Mineral Exploration : The following Mineral Exploration activities are permit exempt under section 66 of the Heritage Act 1995, a) mineral Exploration activities provided the works do not involve the removal or destruction of any significant above-ground features or sub-surface archaeological artefacts or deposits; b) preliminary non-intrusive exploration, including geological mapping, geophysical surveys, and geochemical sampling and access to shafts and adits; c) advanced forms of exploration (drilling), including the location of drill pads and access tracks where this has been the subject of on-site negotiation and agreement with representatives of Heritage Victoria, DSE and Parks Victoria, and where all significant historic site features have been identified and protected as part of an approved work plan. Minor Works : Note: Any Minor Works that in the opinion of the Executive Director will not adversely affect the heritage significance of the place may be exempt from the permit requirements of the Heritage Act. A person proposing to undertake minor works must submit a proposal to the Executive Director. 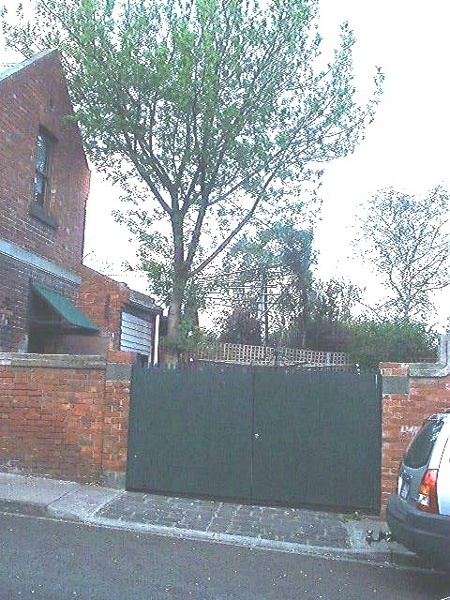 If the Executive Director is satisfied that the proposed works will not adversely affect the heritage values of the site, the applicant may be exempted from the requirement to obtain a heritage permit. If an applicant is uncertain whether a heritage permit is required, it is recommended that the permits co-ordinator be contacted.